In January this year, an annual national school enrolment campaign was flagged off by the federal government as part of efforts to reduce the rate of out-of-school children in the country. The Minister of Education, Malam Adamu Adamu, kicked off the campaign at the Tudun Salmanu Primary School, Bauchi State. According to him, the federal government, through the Ministry of Education, is targeting enrolment of 2,875,000 pupils and construction of additional 71,875 classrooms annually for four years. The nationwide campaign is aimed at sensitising parents and stakeholders to enroll school-age children into pre-primary and primary schools for 2017/2018 academic session. Adamu in his keynote address at the event said that the issue of out-of-school children was a critical component of the Ministerial Strategic Plan (MSP) and a special area of focus by his ministry. He commended the Bauchi State government for partnering the ministry to launch the campaign. He said the ministry also plans to recruit teachers in anticipation of the increased enrolments. Malam Adamu who was represented by the registrar of the Teachers’ Registration Council of Nigeria (TRCN), Professor Josiah Ajiboye said that the school enrolment campaign was a deliberate project of the ministry targeting children within the age bracket of three to six years for enrolment into the formal school system. With this laudable initiative, coupled with Federal Government’s school children free feeding scheme, it is expected that children’s enrolment in school should be on increase. But that is not the case as the recent findings on by United Nations Children’s Fund (UNICEF) about the decline on school children enrolment in Nigeria is shocking, alarming and worrisome. From the 10.5 million figure in the last few years, a recent survey carried out jointly by the United Nations Children’s Fund (UNICEF) and the Federal Government, said the figure has risen to 13.2million. The rising number of out-of-school children may have been the reason for a two-day conference of the 19 Northern states which held in Kaduna, October 10 – 11. This is hardly surprising. According to Deputy Representative, UNICEF Nigeria, Pernille Ironside, out of the 10.5 million out-of-school children in the country, the North has 6.9 million, representing 69 per cent of the total figure. Ironside said that Bauchi State has the highest number of out-of-school children at 1.1 million, and Katsina is second with 781,500 children out of school. This is not only alarming, but unacceptable. The Sultan also observed that the revelation runs counter to the history of our intellectual culture and traditions. This development has raised more questions than answers on the reason for the decline in children’s school enrolment. Who takes the blame – government, parents, teachers or traditions? And the conversation rages on! 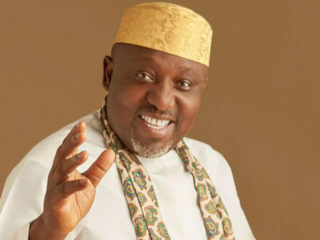 In Imo State, the National Home Grown School Feeding Programme (NHGSFP) commenced few months ago in public schools across the 644 autonomous communities in the 27 Local Council Areas of the state. It is one of the National Social Investment Programmes put in place by Federal Government to ameliorate and cushion the effect of the peoples’ suffering and by extension, increase enrolment of pupils through the attraction of nutrition. The Guardian gathered that the main objective of the programme is to provide hot nutritious meal to pupils from classes 1– 3 on daily basis. The programme in the state has days of feeding arrangement for the pupils in the following manner: Monday–jollof rice and egg; Tuesday– beans porridge; Wednesday– jollof rice and egg; Thursday – potato with vegetable porridge; Friday – agidi jollof with egg. The State Commissioner for Happiness and Purpose Fulfilment, Mrs. Ogechi Ololo, is the State Focal Person in-charge of the programme. There are about 2,105 food vendors engaged to provide food to the pupils across the state. Surprisingly, some parents, The Guardian gathered gave strong warning to their children and wards should not eat such food, expressing fear that it could be poisoned. As a result, some parents withdrew their children to other schools, while others simply stopped their children /wards from attending to schools temporarily until they were convinced that such food were certified okay for consumption. Following some information, Ololo gathered, ranging from discrepancies in the provision of food to rejection of the varieties by the pupils, she held a meeting with the accredited Imo Cooks and Food Vendors for the project last weekend at the Imo International Convention Centre (IICC) Owerri, capital of Imo State, warning them of the consequences. She warned them against sharp practices. The Commissioner directed them to oblige her with the laid down policy on the meal menu and regularly too. In attendance at the meeting were food vendors and cooks from the three senatorial districts of the state, Imo East (Owerri), Imo West (Orlu) and Imo North (Orlu). Starving the pupils, she warned, could be misinterpreted. She opined that jobs were also provided and enrolment increase by so doing, appealing to the ones yet to receive funding to report accordingly, urging the Local Council Coordinators to expedite action in that regard. She also requested for the list of the schools yet to benefit from the programme and erring vendors and cooks in their respective local councils. Some vendors were fingered for non-adherence to the terms of contract. In one occasion, a vendor faulted for 26 days at a period after receiving necessary resources. When the programme kicked off in the state, many pupils who had jettisoned eating food outside their homes refused the offer. It was a replica of 2017 scare in schools in the state when the military wanted to extend their public relations gesture of injecting vaccines on the students and pupils. Parents quickly rushed to their children/wards’ schools and carried them home, feeling that the measure by the military was to kill their children in the Southeast tactically. A parent John Ogah told The Guardian that he had given his children instructions not to eat outside their home because of poison. He was also apprehensive of the motive for such sudden policy by the government. 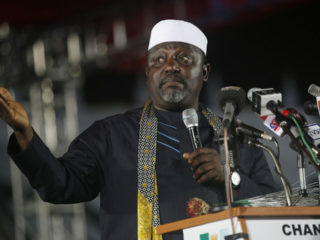 According to Governor Rochas Okorocha, statistics made available to him indicated that due to the free education policy his administration put in place since May 29, 2011, enrolment figure shut up from about less than 200,000 to present over 800,000 home grown school feeding or not. He attributed it to the free education policy for the indigenes of the state exclusively from primary public schools to tertiary institutions. But some persons who faulted it, claimed that it could only be said to be tuition free and not total free education, because parents still make sundry payments to schools’ authorities in the state. The Kebbi State Commissioner for Basic and Secondary Education, Mohammed Magawata Aliero disclosed that arrangements have been concluded by the State Government in collaboration with the Federal Government towards the implementation of the National Homegrown Schools Feeding Programme in the state. Briefing the newsmen in Birnin Kebbi, the state capital, the commissioner said that the programme is aimed at feeding the primary school pupils with the local foodstuff available in the communities by the local food vendors which will in turn served as a means of economic empowerment to the food vendors across the state. The programme is regarded as part of the efforts to reinvigorate the education sector in all ramifications. “You see this programme is to assist the parents and it will also alleviate their suffering in state. Very soon the state government will flag off the programme,” he added. He said over ten per cent of school age girls are still out of the schools as many of them were given out for marriage at tender age, but with the efforts of the present administration it has been reduced drastically. The commissioner who was fielding questions from newsmen at the programme on high level women advocate in collaboration with the SUBEB and UNICEF field office in Sokoto on 2018 International Day of the girl child held at the Abdullahi Fodio Secondary School said that in the next 15 years most of the girls will be in school. In the last three years, he explained, Kebbi state has witnessed over 20 per cent of girls that were out of school, but with the effort of the present administration the percentage has reduced drastically. “We have created more western education such nomadic education and Islamic schools in order to reduce the high levels of girls and boys that were out of school,” he added. Also in her remarks, Permanent Secretary, Ministry of Education, Hajiya Raffatu Hammani said that Kebbi State government has devised a means to tackle the insecurity in the schools across the state. She urged parents to pay strong attention to the upbringing of their children. Meanwhile, the former permanent secretary, Ministry of Education Hajiya Memunat M. Bala praised the choice of the theme this year: “With Her: A skilled Girl force.” Bala lamented that most of the disadvantaged girls are in rural areas and they need humanitarian services while others with various disabilities lacked access to decent work. “Today’s generation of girls are preparing to enter a world of work that is being transformed by innovation and automation. Education and skilled workers are in great demand but roughly a quarter of young people, mostly female are neither employed, educated nor trained. “Young women are often found in the most marginalised segments of the informal economy with fever assets, greater risk and lover income. The most disadvantaged girls are those in the rural areas and need humanitarian services. And those with disabilities don’t have access to descent work”. At the Eastern shop traffic light on Ogui road in Enugu, Mrs Catherine Onwe was seen begging for alms with two of her children, whose ages range between nine and ten years. It was around 12noon when they probably should be in school. The way the children dressed and their ferociousness in soliciting for alms would readily tell you that the only language they know is money. Approached to know why the children were not in school, Onwe said; “We are looking for what to eat. Will they eat school or will you buy their books, pay their fees and provide food for them? It is better they eat and may be sometimes in the future they can learn trade”. Although she claimed they hail from Ezzamgbo in Ebonyi state, she said that going to school was the last thing in her mind, as she insisted that there was no free education anywhere in Nigeria. The children, whose names were given as Chibuike and Ikechukwu are among the out-of-school children roaming the streets of Enugu State. They confirmed that they were forced to go back to their state last year to start school, only to return to the street in search of food as a result of hunger. They said the school meal programme was barely enough to assuage their hunger. Mr Ifeanyi Onah, the Secretary of the School Feeding Programme in Enugu State, who tried to corroborate their position, stated that people have various reasons to drop out of school. He said: “I know we have made improvements in enrolment in our public schools since this programme started. But the truth is that, there are many who would not want to go to school because of various reasons. He said that the state has witnessed serious improvement in enrolment with some physical evidences on ground, explaining, however, that accurate statistics on the number would only be ascertained when the federal government approves the annual school census. A social worker, Ngozi Ogbuigwe, said there was a great danger in having the children on the streets when they were supposed to be in school. “They are exposed to all manner of activities that could endanger their future. At that tender age, it is bad to have a child focus on money and what to eat. What it means is that should there be any opportunity for them not to find money or something to eat, could resort to any other means to satisfy the urge. Ogbuigwe noted also the low orientation of most parents in the country, stressing that, some have the habit of given birth to children without a plan on how they would want their future to be. OUT of School Children (OOSC), despite the initiatives put in place in recent past by Ondo State government, has soared astronomically beyond proportion, poising a huge threat not only to development indices, but also to the attainment of Sustainable Development Goals (SDG). Data and survey analyses show that the number of school children keeps increasing in the state despite the social investment programmes and interventions by state and Federal Government in recent time. According to Nigeria Demographic and Health Survey (NDHS) 2008, the total population of primary age children in the state is: 575,249, out of school children is: 34,660 (6 per cent); dropped out: 10.2 per cent, expected to enter at age seven: 85.1 per cent while expected to never enter is: 4.7 per cent. The survey pegs total population of junior secondary age at 276, 443; OOSC at 6,682 and 2.4 per cent; dropped out: 32.8 per cent, expected to enter at age 17: 0.0 per cent and expected to never enter at 67.2 per cent. United Nations Children Fund (UNICEF) has expressed deep concerns in this ugly trend, and as a watchdog, raised the alarm over the untoward implications on the future of the nation and sub-Saharan region. UNICEF Planning, Monitoring and Evaluation (PME) Specialist, Mr. Niyi Olaleye, at a workshop organized by the Akure Field Office recently, examined the situation of children and women in South West states based on Multiple Indicators Cluster Survey (MICS) in the last 10 years. The MICS report estimated children age 36-35 months who are attending an early childhood education programme at 57.8 per cent in 2007, an increase to 78.4 per cent in 2011 but slumped to 73.6 per cent between 2016 and 2017. Olaleye showed that children in first grade of primary school who attended pre-school during the previous school year was 89.4 per cent in 2007, 10.4 per cent in 2011 but increased to 61 per cent between 2016 and 2017. The report revealed that children of school-entry age who entered the first grade of primary school was 69.1 per cent in 2007, 70.3 per cent in 2011 but decreased to 65.3 per cent between 2016 and 2017. While children of primary school age currently attending primary or secondary school was 98.8 per cent in 2007, reduced drastically 95.7 per cent in 2011 and dropped to 91.8 per cent between 2016 and 2017. According to the MICS findings, children of secondary school age currently attending secondary school or higher was 76.1 per cent in 2007, increased to 78.8 per cent in 2011 but decreased to 77.6 per cent between 2016 and 2017. And percentage of children entering the first grade of primary school who eventually reach last grade was 99 per cent in 2007, 100 per cent in 2011 but dropped to 98.3 per cent between 2016 and 2017. While children of school age out of primary and secondary school between 2016 and 2017 were 8.2 per cent and 8.4 per cent respectively. Basically, there were noticeable increases in the number of students that rushed to school in 2007 and these were traceable to the initiatives of government then, especially the immediate past government of Dr. Olusegun Mimiko who ruled from 2009 to 2017. Within the period, there are numerous social investment programmes in the education sector especially the Mega Schools and Free Shuttle Bus Scheme, which Mimiko intentionally established to bridge the gap between the poor and the rich in the state. Most of these initiatives became a reference points for the state across the federation and the bases for the interstate Social Protection (SP) study tour organized by UNICEF in June 2016 for 16 states and over 77 personnel of Technical Working Groups (TWG). The Special Adviser to Governor on Public and Inter-governmental Relations, Mrs Olubunmi Ademosu, whose office also coordinates the school feeding programme, noted that the Home Grown School Feeding Programme, among other goals, was meant to encourage school enrolment. 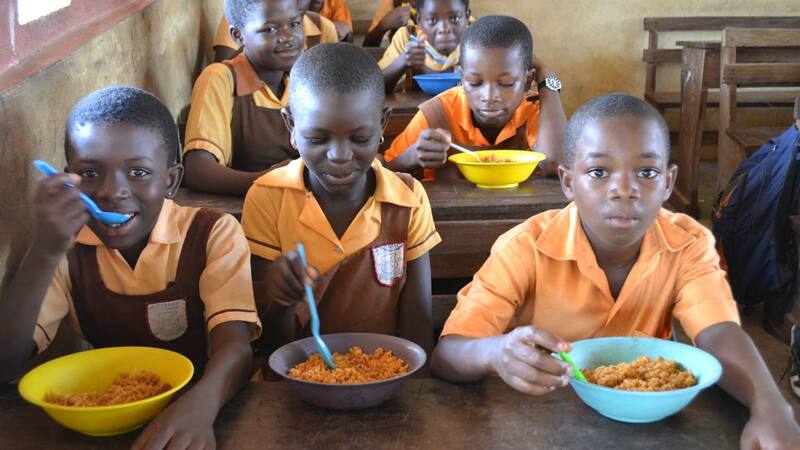 Ademosu revealed that about 78,000 pupils were already being fed in the state with the target to touch over 100,000 pupils across the three senatorial districts. She added that the Federal Government’s Social Intervention Programme (SIP) is always reviewed with effective processes of ensuring that the programme was not politicised so that the purpose won’t be defeated. The Special Adviser, however, mentioned that the agency discovered that about 95 per cent of pupils in Akoko area of the state were not benefitting from the programme when it took off in the state. Whereas, the scheme experienced a hitch last year, less than six weeks after the Vice President, Prof. Yemi Osinbajo launched it in Akure, over 1000 cooks employed for the scheme deserted the schools for lack of salary payments. But the coordinator attributed it to some logistic problems from the cooks and disclosed that the teething challenges being witnessed had already been rectified as a team of government officials worked tirelessly with the monitoring agency in Abuja. This facilitated the comeback of the programme during the first term resumption date last year September with better and robust coordination that ensures that no area of the state is denied from benefitting from the programme. However, some policies of the present administration in the education sector have not been favourable to the students considering the economic hardship in town and its implications to parents and guardians. The President of Movement for the Survival of the Underprivileged (MOSUP), Mr. Dappa Maharajah, alongside other stakeholders, blamed the increasing number of OOSC on some unfavourable policies of the state government. Maharajah, without mincing words, diametrically faulted the Education Summit and the visitation panel to the state-owned tertiary institutions, describing them as jamboree for moneymaking ventures. Analyzing the Education Summit, which was hit with widely spread criticism from the public, he noted that it was driven to monetize the sector and rescind the social protection initiatives embarked upon by past government to care for the vulnerable in the society. On resumption to office, sources close to Governor Akeredolu revealed that he had wanted to scrap the free school bus shuttle programme, but was dissuaded from taking such step because of the negative political implications. Investigation further revealed that public primary school pupils now pay more levies and admission to public secondary schools ranges between N80, 000 to N100, 000; while there were tremendous hikes of tuition in the tertiary institutions last year. For the record, there was widespread condemnation in the over 500 per cent tuition increment of Adekunle Ajasin University, Akungba Akoko (AAUA) from N35, 000 to over N200, 000, though it was reduced but several scores still couldn’t pay and forfeited their admission last year. Moreover, Ondo State, like other South West states, had thrived on free education since the regional era. The cancellation of free WAEC registration by Akeredolu-led government has disrupted in no small measure the education sector. The Guardian gathered from a reliable source within the institution that less than 4,000 candidates applied for the post UTME examination this year compared to over 12,000 applicants recorded annually but dropped due to the astronomical rise in tuition. A guardian, Oluwapamilerin Aribigbola, who has been sponsoring some pupils and students in the neighbourhood, lamented that the hike in tuition has deprived some students the right to education in the state. According to her, some pupils around her office could not further their education to secondary school due to the high cost of admission while more than 10 undergraduates in her neighbourhood can no longer continue with their studies. Aribigbola, who is the CEO of DAPS Events and Bridals, Akure, decried the negative implications of high cost of education to the state, warning that it portends dangers and insecurity in the nearest future. 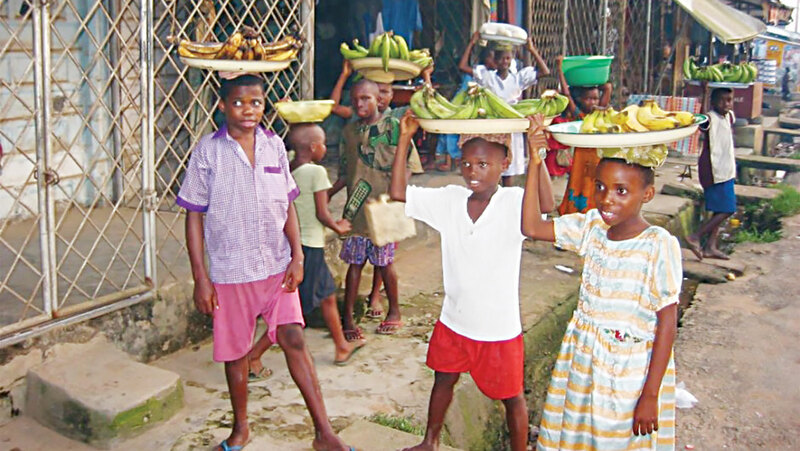 A father of four, Mr. Rotimi Olawoye, declared that the inability of children to access formal education has exposed them to all sorts of societal misdemeanors and behaviour. 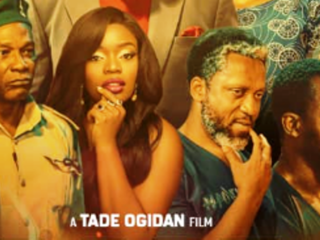 Olawoye said the bid to survive leaves the children with no option to engage themselves in menial jobs such as hawking, servitude, driving, prostitution and many others to make them prone to abuses and brutality. “Many of these children are abandoned on the streets of our nation today, and out of despondency and hopelessness, they take to all sorts of crime for survival. They are easy preys for societal decadence and rots.